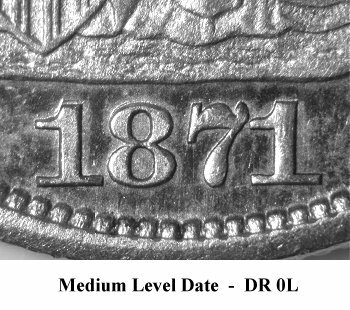 Comments: On Obverse 1, the 1 and 8 digits are repunched. 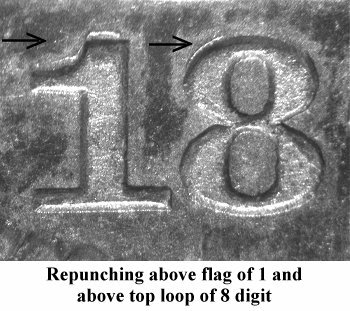 Repunching is seen above the flag of the 1 digit and above the top loop of the 8 digit. 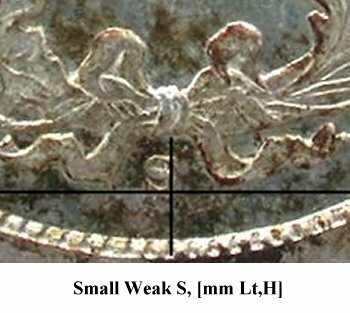 The (S)TATES is completely broken. 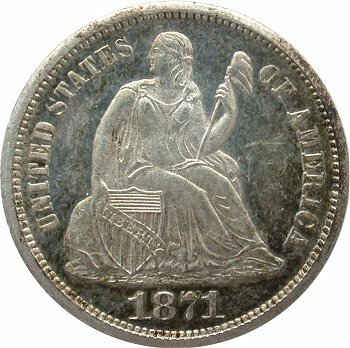 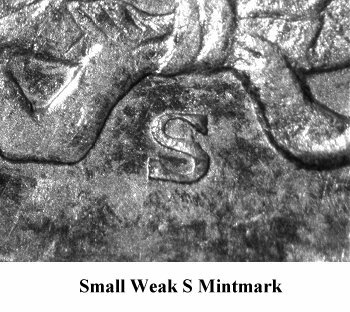 Reverse A exhibits a Small Weak S mintmark that is positioned left and high. 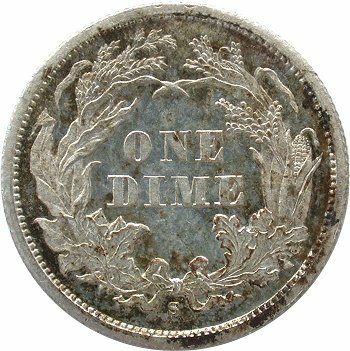 Subsequently, Reverse A will be polished and paired with a second obverse die to create Variety 103.